i jumped at the chance to wear this blouse with these shorts.. i'm really liking mint green at the moment, and obviously i'm obsessed with polka dots, so pairing these together was an easy choice. it was also very easy to throw on this cardigan again... i'm wearing it with everything. i felt the top half of the outfit needed something though, so added the bow i usually wear in my hair as a sort of bow tie. i took a few photos with my lovely navy zara coat on, but it was only when i got home and loaded the photos onto my laptop that i noticed the very fat, naked man staring at me in the top right hand corner of all the photos. can you see him? it made me feel kinda nauseous.. especially as in a few of them he had his hands up to his mouth as if he was blowing an imaginery trumpet. probably the oddest blogging experience i've had so far! Haha! I was gonna ask what was with the fat guy! Love what you did with the bow! beautiful outfit. I love it. Do you like to follow each other? Let me know. I can't see the fat man. Where is he? I like your outfit and the outfit from the last post. Are all of them adorable. 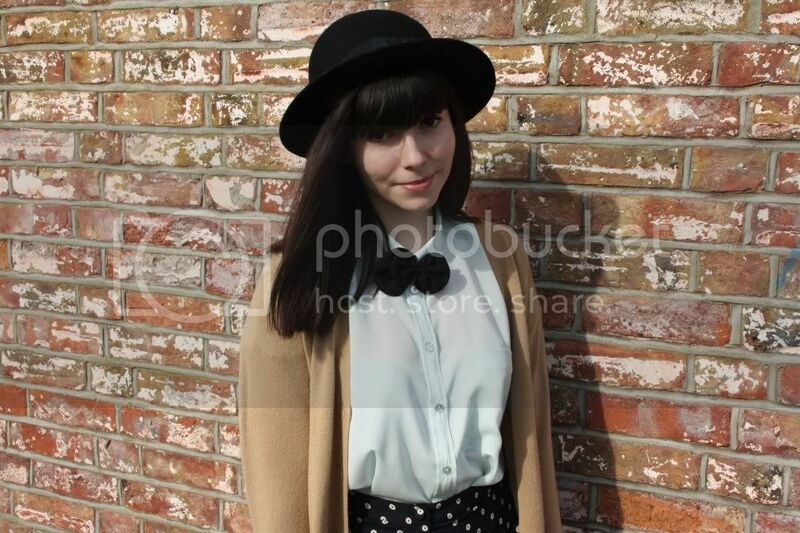 Buttoned up look (wuth or without bow) looks very nice on women. I love the bow though! I love the shorts. You look perfect. I don't userly like short hair but your hair style looks really nice with your fashion style. I didn't realise the man in the window until you mentioned it haha! It was a bit of a wheres wally moment! You look very pretty too, the bow adds a lot to the outfit! Oh my gosh, the man is so weird! But you look great! I adore the coat! mint green! I love it. Not many people can properly pull it off though, but you most certainly can!! 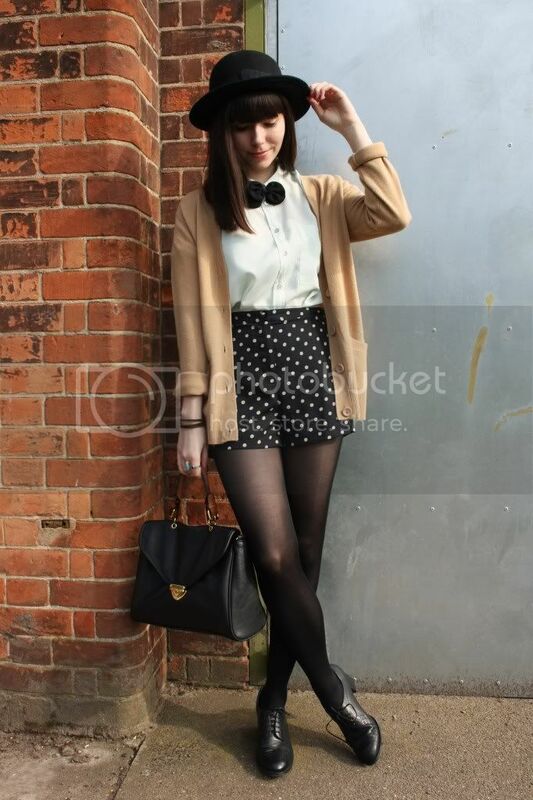 The polka dot shorts are the perfect touch. such a cute outfit i love your shorts. Cute outfit, Fat naked guy made me laugh kind of gross though. oh! your outfits are always so lush. i lust for those shorts! lol worst photobomber ever! great outfit though, love the shorts! Great outfit! 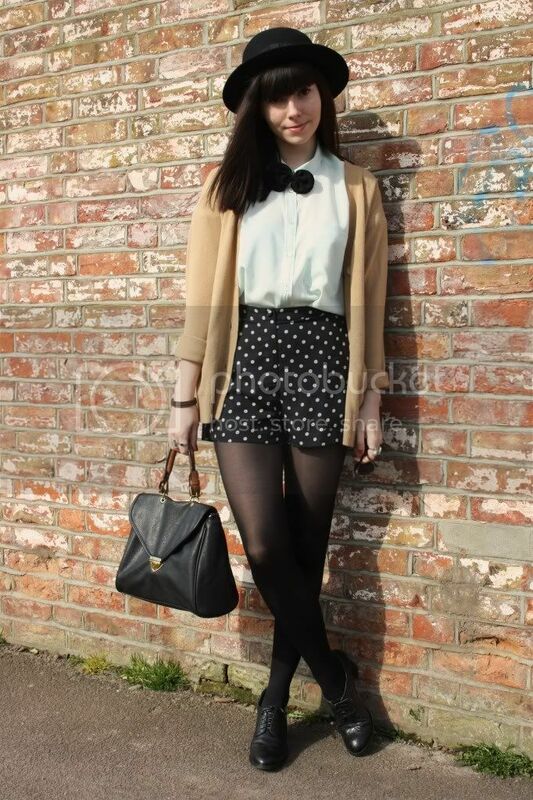 Those polkadot shorts are perfect for spring. The bow it's sooooo cute ! 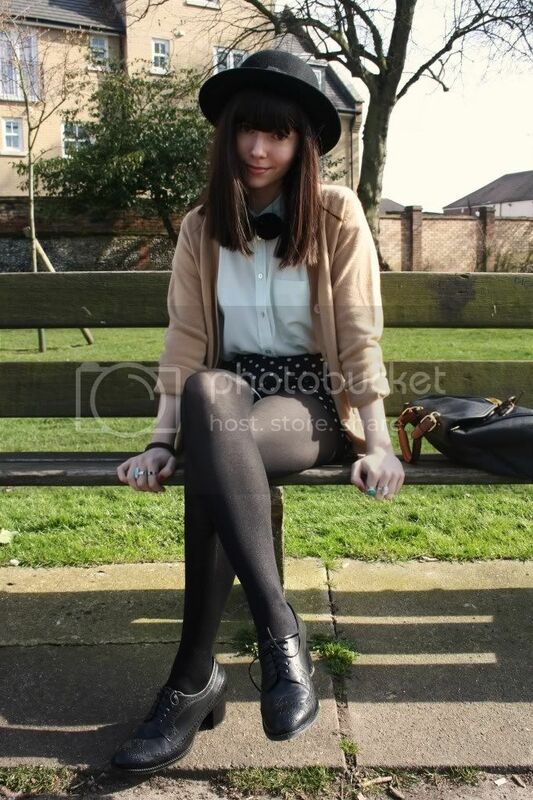 i discovered you r blog through lookbook, definitely fell in love with Your style so sweet! Ohh I love this combination. The mint green and the camel cardi work so well together which I wouldn't have expected! And that guy is way creepy. Makes for an interesting experience at least, hehe. this outfit is amazing, you look lovely! I wouldn't have noticed the man if you didn't say something but it is quite weird indeed ha! Love the polka dot shorts! Your shorts are so cute! !